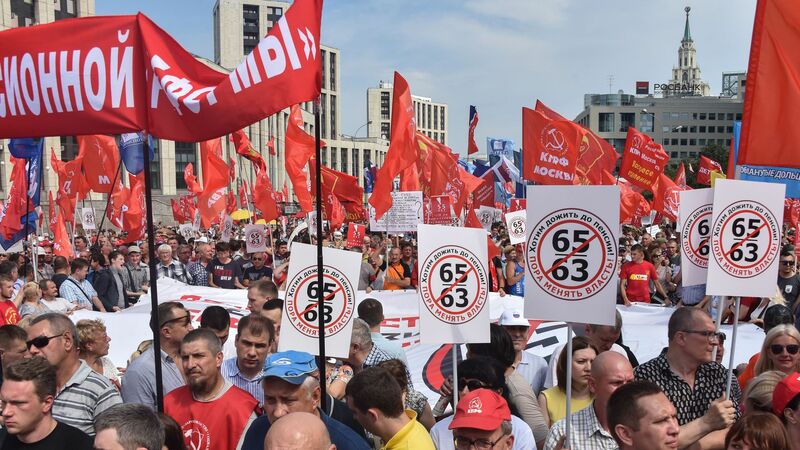 More than 6,000 Russians participated in a protest Sunday against a bill that would raise the national retirement age from 60 to 65 for men and 55 to 63 for women, reports Reuters. Why it matters: The bill is deeply unpopular among Russians and has caused President Vladimir Putin's approval rating to drop considerably. Protestors at the rally, organized by the opposition Libertarian Party, chanted "Putin is a thief" and "away with the tsar" as they marched through the streets of central Moscow.